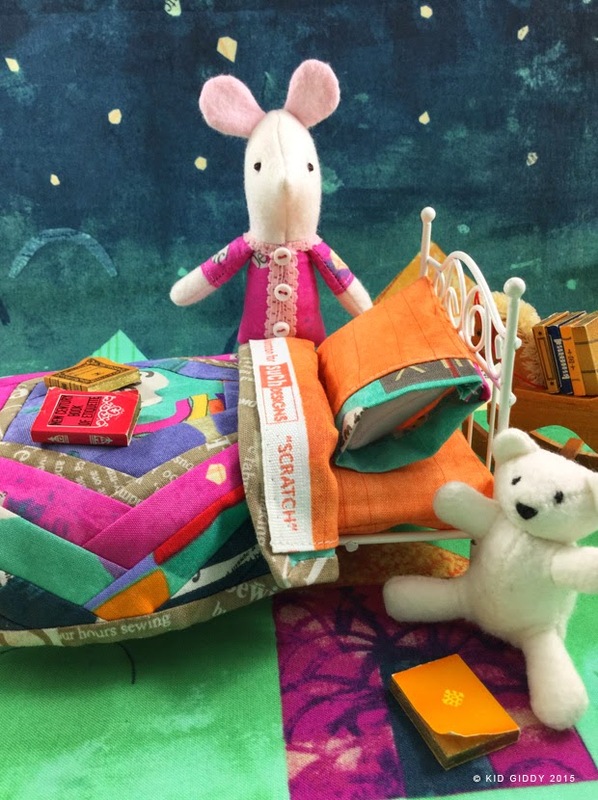 I was so excited that Carrie Bloomston asked me to sew up some fun stuff with her newest fabric line "Story" by Windham Fabrics. Although I've made a few other things - the project and "Story" I wanted to share with you today, is this sweet little mouse I've named Pearl. 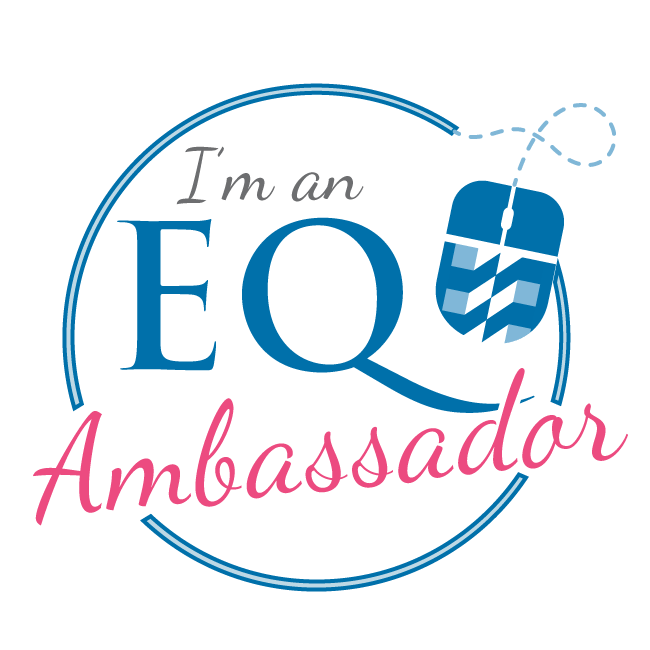 What's my story? I love making. I love sewing. Sometimes the smaller I can make something, the better (but I am from Texas so big is never a bad thing). I love living in my imagination and taking the things that I see in my mind or dreams and making them real and tangible. I hope to make a connection between the two, connecting it with life, other people and things around me. Life is crazy, and making things with my hands, is way more fun. 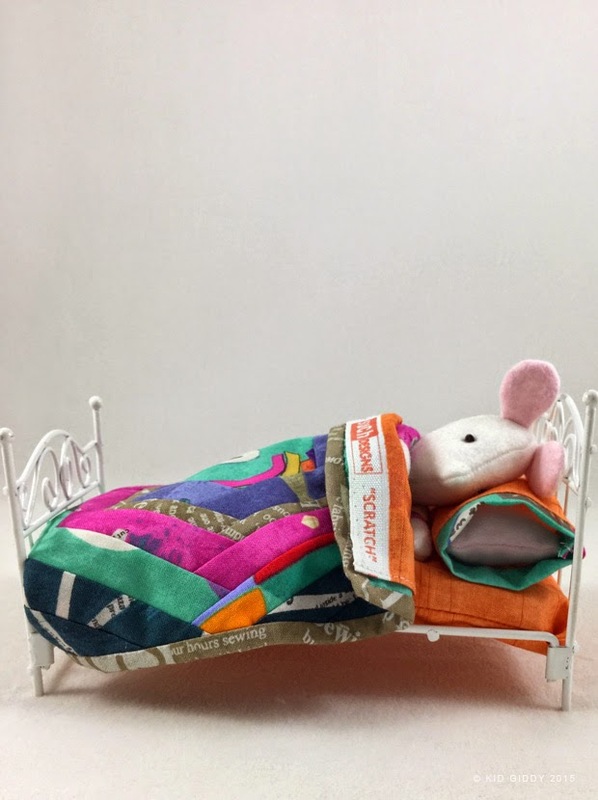 I woke the other morning searching for answers to many questions...as I pondered my week, I thought of Carrie's fabric again, with the moon and the stars, I thought of this little mouse looking out a window and a little bed. So I made it real. Pearl is little in size, but large in heart. 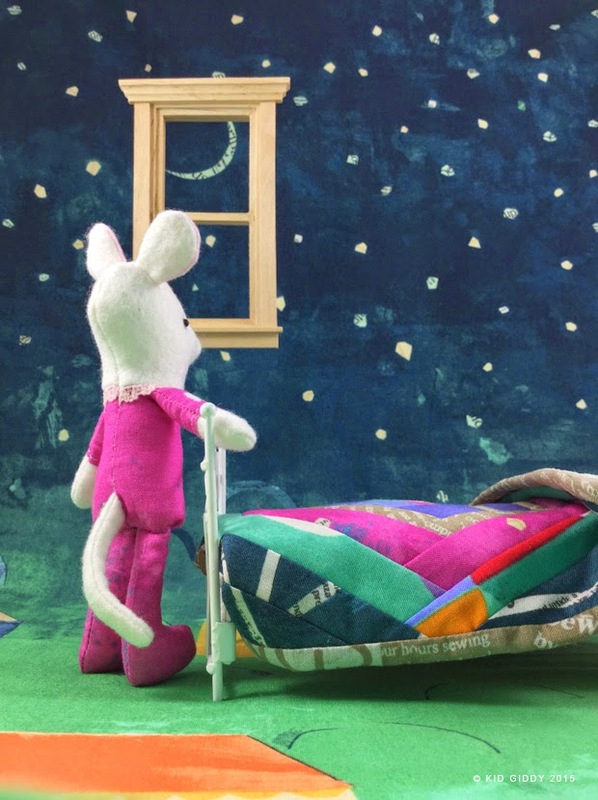 She has big dreams of being the First Mouse Astronaut, and loves to look out her window at night before getting into bed. She used to live in a big city, but the street lights were always on and flooded the night sky making it impossible for her to see the stars. Pearl decided that since she wanted to go up in space some day, she would need to see space and learn all about it, so she move up north. She talks to the moon when it's not covered in clouds and tries to reach for it when it's really big. It looks so close, but it's still out of her reach. 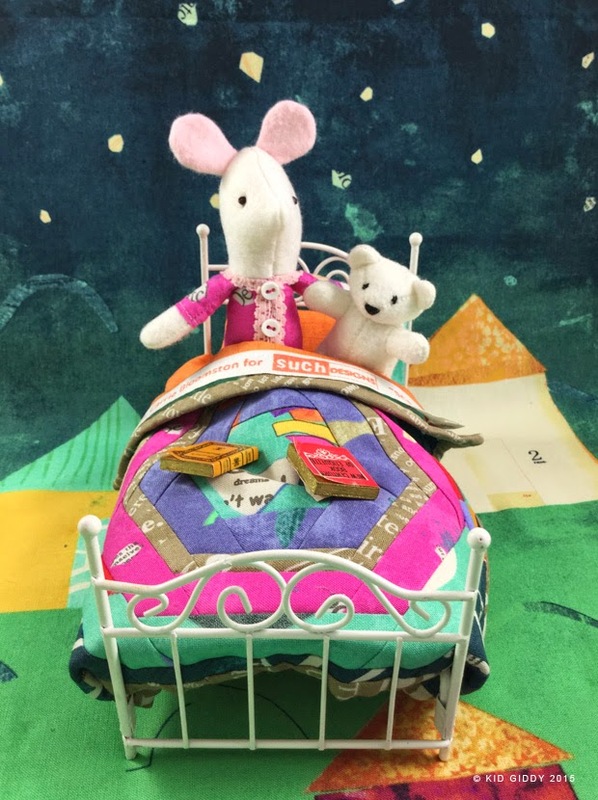 It's getting pretty late, so Pearl decides to climb into bed, and invites her little bear to come snuggle for reading time. Tonight they are reading "New Century Book of Etiquette", because every little mouse and bear should have good manners and know how to behave in all different places, even in space. 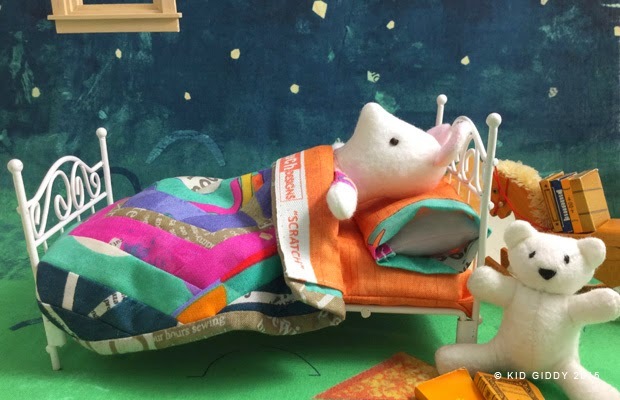 Finally Pearl and her bear start to yawn ("He's real" she says, "so he yawns too"), so it must be time to put the book down and go to sleep. Pearl tosses and turns a bit, and counts all the stars when she can't fall asleep very fast. She hopes a shooting star will pass by but hasn't seen one since the last meteor shower. Eventually all the stars fade as Pearl slips into her dreams, soaring into space. I hope you had fun visiting my blog today. 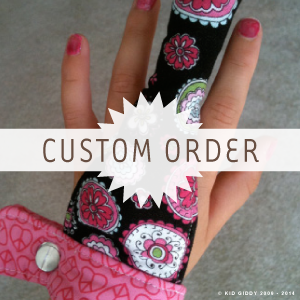 Carrie's amazing Story fabric is so fun and versatile, and if you'd like to win some, visit her Such Designs blog for more info. 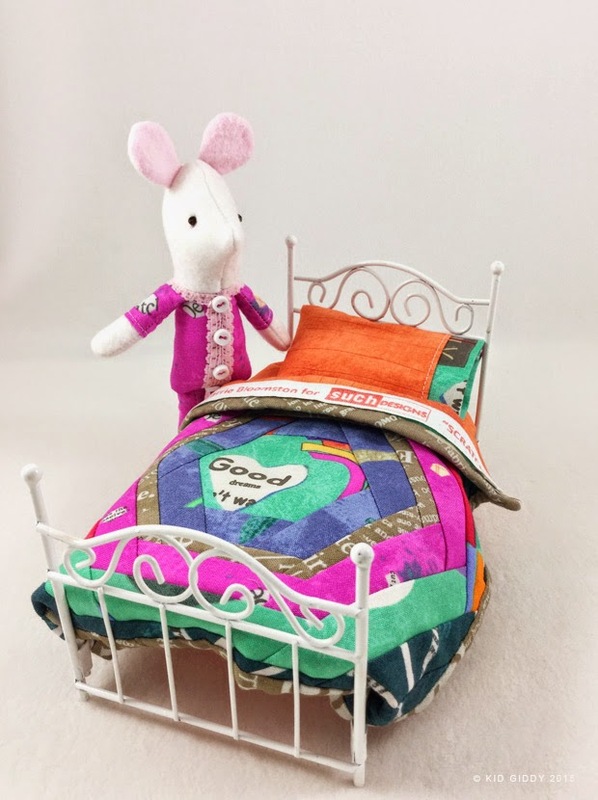 If you'd like to make a little mouse of your own, you can buy a copy of my book through my Kid Giddy Etsy Shop. I'll even sign it for you. Although I was given this fabric for my own use, my thoughts and opinions are all my own. 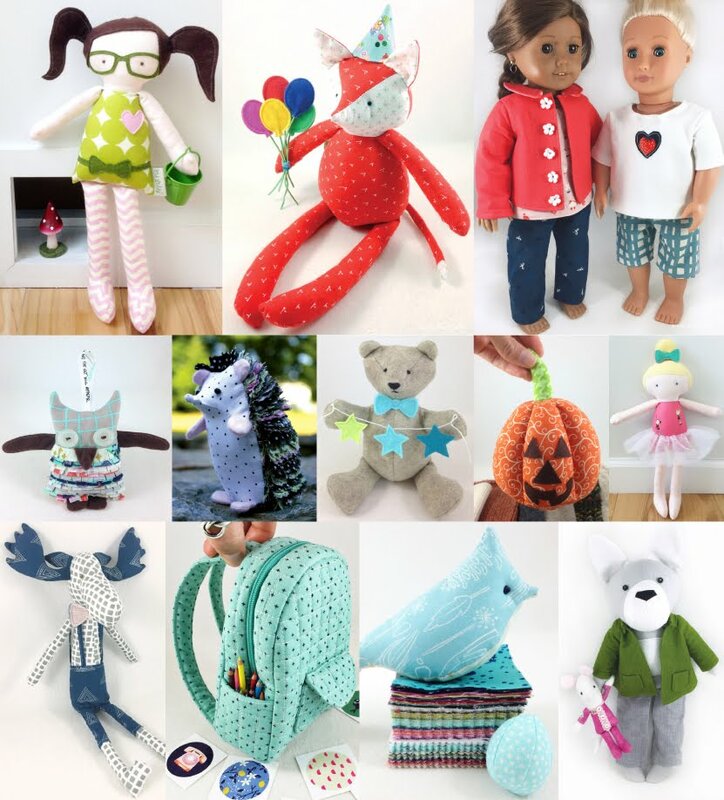 I'm excited to be a guest on the Sew Mama Sew blog today for their "6 Weeks of Softies". It's been a very long time since I was on the Sew Mama Sew blog, with my Mini Tent Tutorial (in 2011), so I'm glad to be back. Of all the options and avenues to explore for this 6 week intensive on all things Softies, I decided to gear my post towards Storytelling and Sewing. 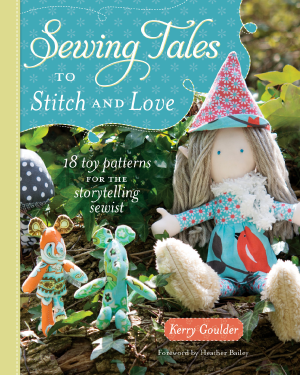 After all, my book Sewing Tales to Stitch and Love: 18 toy patterns for the storytelling sewist, is just that, a lot of sewing and a lot of stories. A perfect fit - right?! 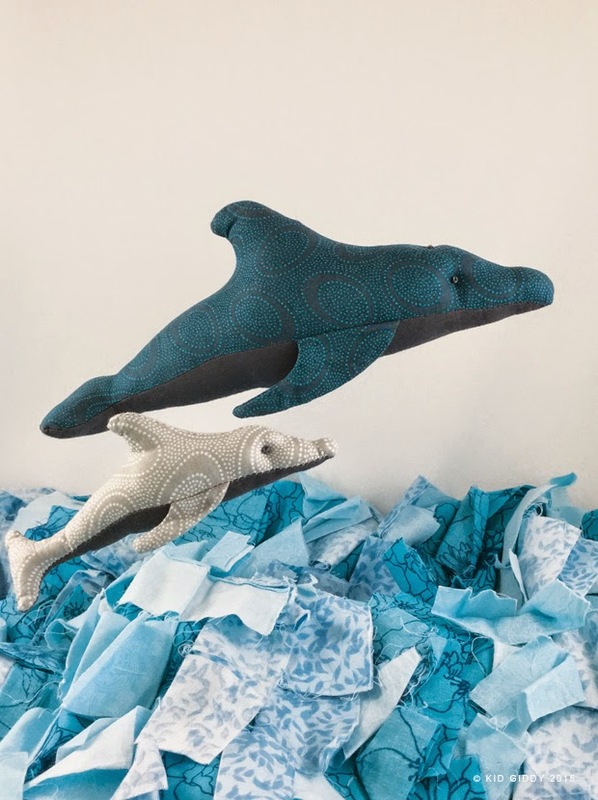 F&W was kind enough to allow use of my Casco the Dolphin pattern straight from the Coastal Waters section in my Sewing Tales book - so download a copy and get sewing. 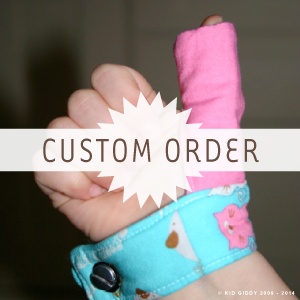 It's among the five easiest patterns in my book - and can be easier if made a little larger, esp for children. I can't wait to see your dolphins, and hear all about their awesome adventures. Share your pics and stories on Instagram and tag me @kidgiddy and #kidgiddy. Last week I was in Southern California filming some demo videos for my upcoming Sizzix dies and will share some behind the scenes pics, so check back soon.